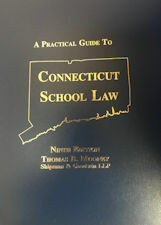 This book is a "must have" for all Connecticut school board members and school administrators. While lawyers may find it helpful, it is also intended for anyone who is interested in the state and federal laws and judicial decisions governing public elementary and secondary education. The Guide comes with a CD which provides hyperlinks to many cases and statutes and will permit word searches as a supplement to the Index. Employee Background Checks; Student Data Privacy; Teacher Evaluation and Tenure; Suspension, Expulsion and Alternative Educational Opportunities; The new "Every Student Succeeds Act" Requirements; The CCJEF Case and ongoing Litigation; Minimum Budget Requirements and New Duties to Collaborate with Town Officials; Changes in the Rules that Boards of Education and School Administrators Must Follow and so much more! Call CABE at 860-571-7446 or 800-317-0033 and purchase your copy today! 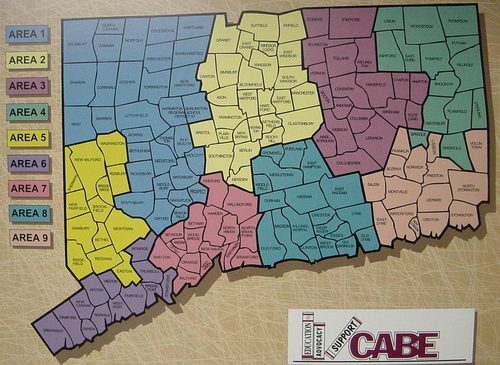 For the last twenty-five years, Tom Mooney has written about the "Nutmeg Board of Education" for the CABE Journal, describing its various legal problems and their solutions in an entertaining and informative way. Tom has updated and included the most popular columns in this amusing book. Readers can learn school law and be entertained! Thomas B. Mooney chairs the education law practice group of Shipman & Goodwin LLP, a Connecticut law firm that represents Connecticut boards of education in all aspects of school law. Tom writes frequently on school law topics, and he also teaches Law and Public Education at The University of Connecticut Law School and graduate courses on education law and personnel management at the Neag School of Education at the University of Connecticut.